I'm on the ALSC Blog today talking about Volcano Science, a school-age STEM program we recently offered at my library. Head over there for full details! Last week on the ALSC listserv there was a thread (no, not that thread) of messages on the topic of library games for group visits. The question was posed in the context of a first grade boy scout visit--what sorts of activities do libraries offer for such a group visit? I shared a few examples of what we do here at my library, and after getting a some questions and requests to share details, I opted to expand here on the blog. Most of our scout groups and some school groups opt to visit the library as a means of introducing children to how the library is set up--the idea is to make them familiar with the library to encourage its use. We happily assist in this pursuit with scavenger hunts that get kids moving around the library. One such scavenger hunt (and I cannot take credit for it; a version of it was in use before I took my job) operates both as an exploration of the library and a decoding exercise. Library familiarity and literacy reinforcement rolled into one, hooray! 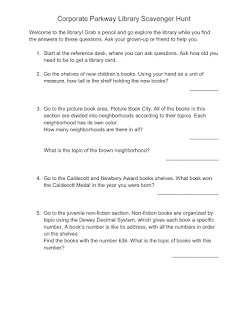 This coded scavenger hunt involves a clue sheet with numbered clues; each clue prompts children to go to a specific section of the library, e.g., the juvenile graphic novels or the reference desk. When children make their way to each specified area of the library, they search for a small sign. These signs have a number and image that correspond to the clue on the kids' code sheet, and they also include a large uppercase letter. Children are prompted to write down that letter on their code sheets by the clue number; thus, if the sign for Clue #9 leads to the Wii games, and the Wii sign has the letter "W" on it, "W" becomes associated with #9. When children have found the letters that go with all twelve of our clues, they are ready to decode the message of the game. See the above images of our clue (left) and key (right) sheets to better visualize the setup. Another scavenger hunt uses the same sort of seek-and-find format albeit without the decoding aspect. 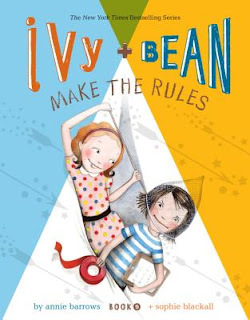 I've written on this blog about our summer seek and find, where children look for an image of a book character who is mentioned at the library's entrance. During the academic year, we modify this premise to be a little more engaging. Children are given a sheet of paper with images of five or six children's book characters, each with a line next to it. Those same images are posted somewhere in the children's area of the library, and children are instructed to locate each of them. When a child locates an image, he or she is meant to write down (or dictate to a grown-up) the section in which the image is posted; for example, if Clifford is on a shelf with audiobooks, the child would write "audiobooks" or "CD books" on the sheet. This variation on the scavenger hunt works well for younger groups of children who may not yet have great reading skills--they are able to look for visual clues instead of trying to follow written ones. 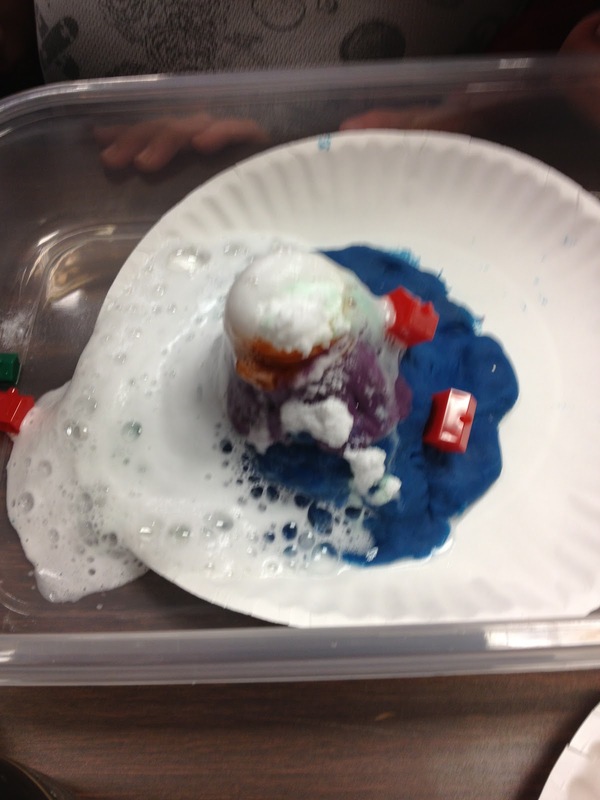 Our last scavenger hunt model features a bit of STEM mixed into the exploration. The hunt handout includes instructions like "Go to the juvenile magazines. How many magazines for children does the library subscribe to?" Each instruction includes a line for children to fill in; in this example, kids would write down the number of different magazines they count in the children's area. These activities include counting, measuring, reading a book list, and navigating Dewey, all of which support STEM skills as well as library knowledge. The one potential downside of this scavenger hunt is that it is text-heavy, and thus it often requires a larger number of adult "team captains," if you will, to help the kiddos navigate the different activities. It's been a hit in the few times we've used it since creating it this fall, however, so it's a model worth trying out. All three of these scavenger hunts work for larger groups as well as small ones, although when there are lots of kids going on a hunt, I like to divide them into teams and stagger the starting place for each team. 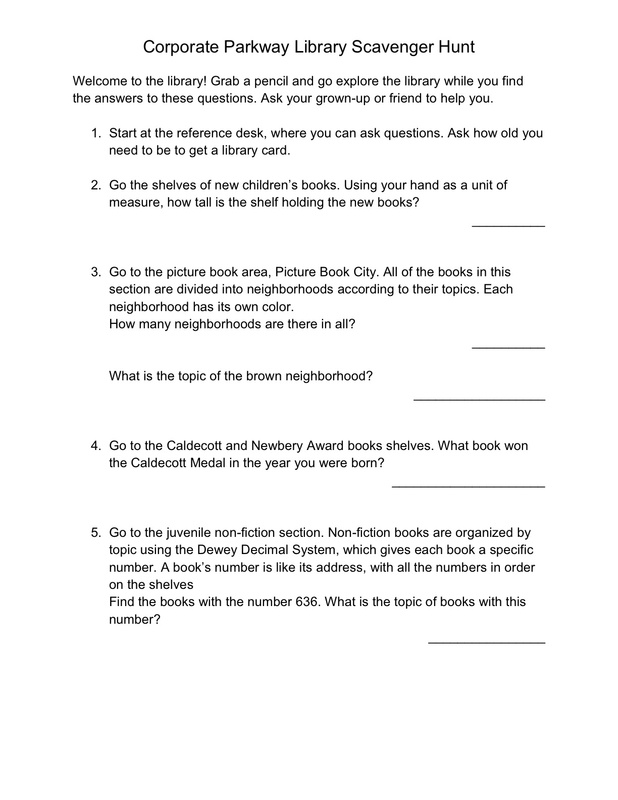 I also emphasize that the scavenger hunt is not a race--every participant gets a prize (usually a library pencil or a small piece of candy) for completing the hunt regardless of how quickly they do so. 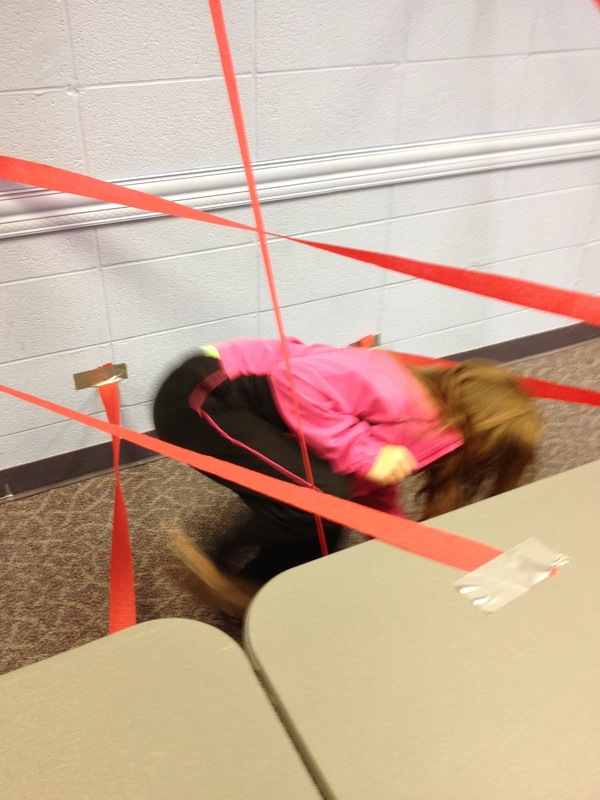 Things don't usually get too crazy during the hunt once kids know they need not rush around the library. Those are our three go-to activities for acquainting kids with the library when they come for a group visit. What do you do to entertain and inform children who visit your library? When the program room doors opened, kids were able to find a seat at a table set out of with supplies for creating disguises. No spy is ready for duty without an assortment of disguises, right? The end results of this station were varied, with some kids donning monocles and handlebar mustaches while others were rocking multicolor glasses and beauty spots that were really communication devices. During the disguise creation, I book talked two of the books that inspired the program theme: Sophia's War by Avi and Liar & Spy by Rebecca Stead. I emphasized that there are books with spies for all readers; these two books represent realistic fiction and historical fiction. Both were checked out after the program, as were a number of other spy-themed books we'd pulled for display in the program. Sharpshooting -- The Nerf guns from our Star Wars Jedi Academy were repurposed for shooting at traditional targets. A volunteer taped two lines to the floor as guides for the sharpshooters: one at an easier distance, and one more difficult. Invisible Ink -- Tables were set up with cups of invisible ink (a mixture of lemon juice with a bit of water), cotton swabs for writing, and plain white paper. Messages needed to dry before they were completely invisible, so the reading of the secret messages took place at home with the assistance of a hair dryer or warm lighbulb. Cryptography -- I had created a code key and secret message using a pictograph font in Word, and the young spies spent a bit of time decoding the message. Once decoded, it instructed them to go to the reference desk for a reward (candy). With just a few minutes left in the program, I announced that spies should be finishing up at their current stations. We ended with a reminder that books were available for check-out; both fiction and non-fiction accounts of spies went like hot cakes. Lots of children were spotted leaving the library in disguise, too--an indicator, I think, that they'd enjoyed themselves. It's that time of year again--time to buy lots of books for everyone on your holiday list! In the interest of making your holiday shopping perhaps a bit easier, I'm sharing the children's books that I'll be recommending to friends and family this holiday season. Whenever you buy books, please support indie booksellers if you can! If you're buying books for the teeniest, tiniest newborns, choose board books with clear, simple illustrations, preferably in few colors, like I Kissed the Baby! 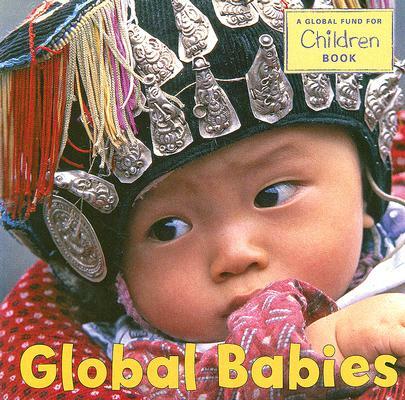 by Mary Murphy; and board books with pictures of other babies, like Global Babies. If you're buying for slightly older toddlers, look for board book titles that include brightly-colored illustrations and a minimal amount of text and story, like those by Sandra Boynton or the board book version of The Very Hungry Caterpillar by Eric Carle. One of my favorite things to come out of the revised Every Child Ready to Read is the emphasis on talking to and with young children. Hearing and engaging in talk helps children to develop a sense of the rhythm of fluent speech. Talking about objects in the world around us and pictures in a story help to build vocabulary and an understanding of how the world works, too. Without engaging in plenty of talk before they start school, children begin their attempts to read with a massive conceptual deficit. They just don't make as many connections between words, what they mean, and what describes them. That point--the relative advantage given to children who talk and are talked with--was recently emphasized to me in a series of outreach story times all featuring the same book. The book in this example: I Spy with My Little Eye by Edward Gibbs. 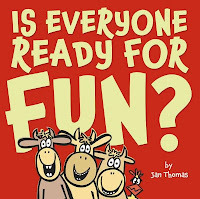 The book is a series of "I Spy" games: a two-page spread allows the children to spy an animal's color while a speech bubble gives a hint what the animal is; and the following two-page spread displays the animal for children to see in full. A sample spread would be as follows: "I spy with my little eye something that is white. [speech bubble: I live in the Arctic.] / I am a polar bear!" Simple enough from the reader's perspective. 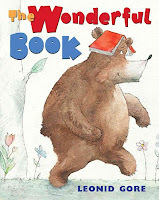 What I've noticed in sharing this book with a variety of groups is that some story time audiences are quick to shout out what animal they spy while others need the page turn to really know what's going on. One preschool, when the children spied red, immediately guessed "fox"--and another preschool only knew it was a fox after seeing the full illustration; not even the hint "I have a bushy tail" gave away the animal's identity for the latter group. What's my point? Obviously both groups know what a fox is. The kids in the first preschool, though, were able to guess "fox" using context clues--at some point in their lives, they have talked about foxes, which are often red and which have bushy tails. The can connect "fox" and "red" and "bushy tail" in a sort of concept map. The kids in the second preschool, on the other hand, weren't able to piece it all together using concept knowledge; they know a fox when they see one, but they have to see it to know it could be a fox. This discrepancy really illustrates the importance of talking with children all the time. It's important to talk about foods we see on the table, at the grocery store, or in a restaurant; it's important to talk about the clothes we see when we're shopping, the clothes in our closets, and the weather we wear them in. It's important to talk about everything a child encounters in life and in books because that talk gives kids the ability to name and understand things they'll see later on in life or in books. And if they understand it now, they've got a better chance of being able to read about it later. Talking can give such an advantage to children from any background. I cannot overemphasize the importance of talk. 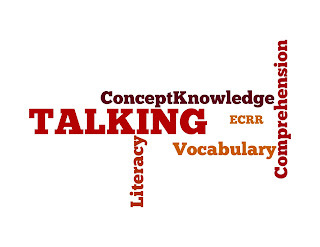 Have you encountered any situations that really emphasized for you the important of talk in developing early literacy? How do your express the importance of talk to caregivers? 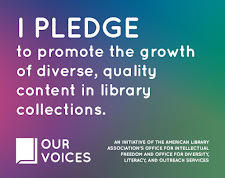 Every year, ALSC supports libraries and librarians across the country through a number of grants. The deadline for many of these grants is approaching; have you looked into how an ALSC grants could support the work done by you and your library? I've pulled the grant descriptions and deadlines from ALSC, so below is all the basic info you need to know to apply. Dream big, aim high, and make a case for why you, your library, and your patrons deserve one of these terrific grants! 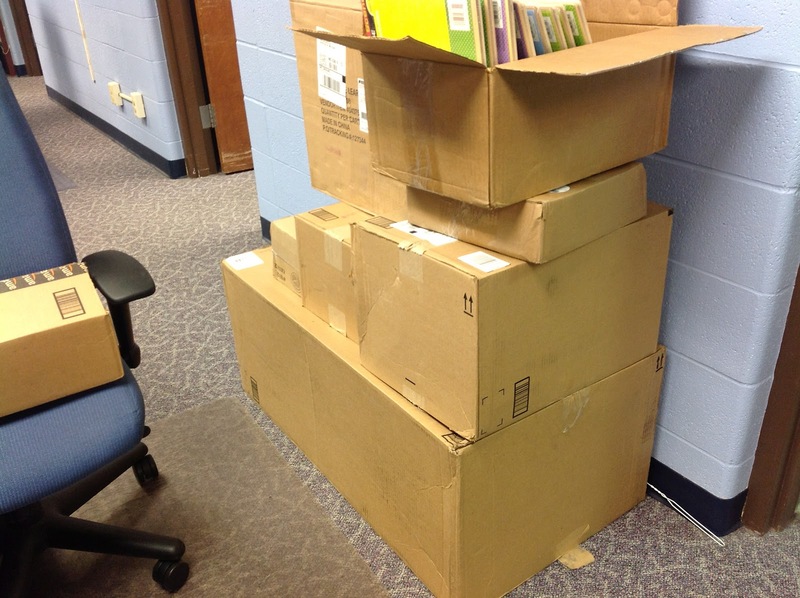 Each year the ALSC office receives almost 3,000 newly published books, videos, audiobooks and recordings from children's trade publishers for award and notables consideration. At the end of the year, after the awards have been given out, ALSC selects three libraries to receive a Bookapalooza collection of these materials (estimated to be worth $10,000 each) to be used in a way that creatively enhances their library service to children and families. Deadline: December 1, 2012. This $3,000 grant provides financial assistance to a public library for developing an outstanding summer reading program for children. Deadline: December 1, 2012. This $4,000 award was established with funding from Simon & Schuster Children's Publishing, in honor of Maureen Hayes, to bring together children and nationally recognized authors/illustrators by funding an author/illustrator visit to a school or public library that has not before had the opportunity to host one. Deadline: December 1, 2012. This award provides a $600 stipend, provided by Penguin Young Readers Group, for up to four winners to attend their first ALA Annual Conference. Applicants must have fewer than 10 years of experience as a children's librarian and work directly with children. Deadline: December 1, 2012. This award honors an individual member who has made significant contributions to and an impact on, library services to children and ALSC. The recipient receives $1,000 and an engraved pin at the ALSC Membership Meeting during the ALA Annual Conference. Deadline: December 1, 2012. This fellowship provides a $4,000 stipend to allow a qualified children's librarian to spend a month or more reading at the University of Florida's Baldwin Library of Historical Children's Literature, which contains a special collection of 85,000 volumes of children's literature published mostly before 1950. Deadline: December 30, 2012. 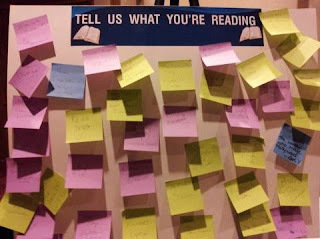 When I recapped the 2012 YALSA YA Literature Symposium last week, one of the conference ideas I mentioned liking was the "What We're Reading"board. I'm excited to say that, with just a small amount of supplies and staff time, we have a version of the board up in our children's area. I have a relatively open wall above a table that will (in the next few months) feature my branch's early literacy computers. Until then, the table houses a rotation of things. Previously it was where you could find some play dishes and food. Now it is home to a bin containing markers and colorful Post-It notes. These are the only supplies necessary for the "What We're Reading" Wall. I made a title for the wall using those same Post-Its and markers (use washable! ), and I also put up a few demo Post-Its to give customers the idea of how to add to the board. In just a few days, the number of What We're Reading notes multiplied significantly. I love the reader response; not only are they reading socially, something I always think libraries can seek to facilitate more, but they are also showing me, the librarian, what they like to read--at least in the branch. I knew Dora and Dr. Seuss were popular, but I appreciate seeing that other less-obvious titles, like some of our horse books and past years' state award nominees, are still being enthusiastically enjoyed. A "What We're Reading" wall has already proved to be a simple, engaging reading activity in the branch. It's beneficial for readers and library staff. Grab some markers and sticky notes and give it a try! I'm well into the second half of my fall outreach season, which means I'm making steady progress through the 2012 Missouri Building Block Picture Book Award nominees as a visit preschools for story times. This month I grouped together some of the stories that have humorous elements to them, then I rounded things off with a new title from one of the nominated authors. I think I've mentioned before how much I love Jan Thomas. Those books are always a delight to share with audiences of any age children--they always find the stories engaging and, often, hilarious. This title is no exception, as three cows get up to all kinds of mischief in the name of fun, much to Chicken's chagrin. This song is an adaptation of a perenially popular camp song, "Mama Don't Allow." I figured that Chicken in our first story had lots of rules--why not break some with a song? We don't care what Chicken won't allow, clap your hands any old how! I preface this quieter read-aloud with the question of whether a dog would know what to do with a book if you gave one to him. In this story, an assortment of animals encounter a book and, not knowing its purpose, use it in different and sometimes silly ways. When a boy finds the book and begins to read, however, they all enjoy what the book has to offer. This rhyme helps reinforce opposities. Use your hands to illustrate the different sizes of books. I'll admit I was skeptical of using this book as a read-aloud title. 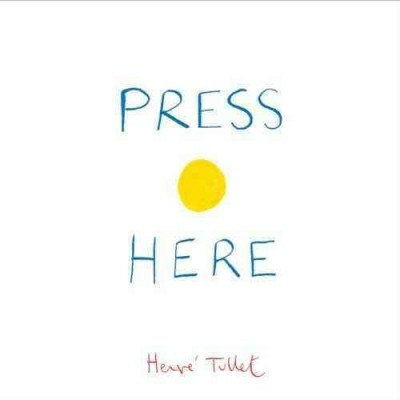 After all, a room full of preschoolers cannot all "press here" when instructed to do so. 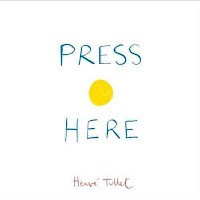 With a few small modifications--the reader presses while the audience helps count dots, report on color changes, and perform small actions when asked--this book is a surefire hit with preschool crowds. They always seem genuinely enchanted by how doing what the book says causes the dots to behave in funny ways. I would not have expected this book to be such a hit, but I am now glad to have it in my story time arsenal. I mentioned that I love Jan Thomas, right? 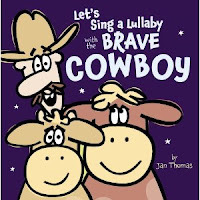 This newest title is no exception, especially because it involves using a cowboy voice and some pretty funny discussion of what it means to be brave. Kids enjoy the lullaby aspect of the book, too, and that device serves to make the book a perfect calming end to story time. In what has become a sort of standard closing for my outreach story times, I broke out the ukulele to accompany our singing of this song. Instead of doing the ordinary clapping, stomping, and shouting, we reviewed our stories by making the noises of some of the animals characters we'd met throughout the program. During our last verse, we all waved goodbye. My library district has a successful and longstanding partnership with a local chapter of Love On a Leash, an organization of therapy pets and their owners. Our partnership supports a program we call Tale Waggers, where children have the opportunity to read to therapy dogs. The rationale behind the program is twofold: 1) reading aloud can be stressful for many children, yet reading to a dog is comforting and judgment-free; and 2) most kids love dogs. Thus we attract children and their caregivers with an enticing program. Our program is scheduled to last one hour (although we occasionally run a bit over because a child really wants to finish reading a story to a dog). In the past, we've operated the program in two different ways. One option is to have a list of the dogs with time slots next to their names; on a first come, first served basis, children sign up for a ten-minute time slot with a dog. Another option is to allow multiple children to gather around a single dog at a time, at which point they take turns reading. Option #2 tends to work best with the crowd at my library; there's always a rush to sit near and read to a dog at the top of the hour, and allowing multiple kiddos at each dog "station" helps with the flow of things. By the last fifteen minutes, our crowd has dissipated to just a handful of children; these readers get the full benefit of a one-on-one reading session. Knowing that's the format our program usually takes leads me to recommend that caregivers of struggling or shy readers come toward the second half of the program, when the child will be able to read to a dog without an audience. Many children bring books they've selected on their own to read to the dogs--things they're reading for school and things they just grabbed off the children's stacks. I also like to have a table of great reads available in the program for quick selection. I aim to provide books for a variety of interests and abilities, and I also consider whether the book (or its chapters) are short enough to a) not frustrate a struggling reader and b) take up too much time while other readers are waiting. 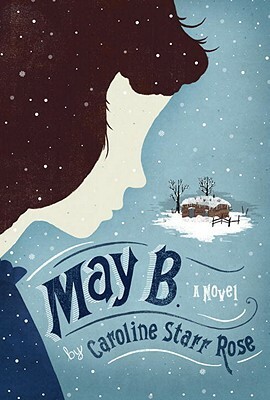 This month I included selections from recent #SharpSchu Book Club discussions. 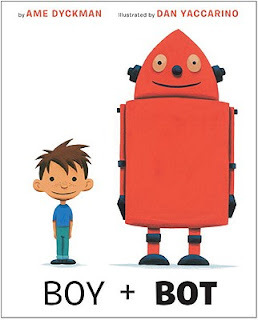 When in doubt of books to suggest to kids, look to Mr. Sharp and Mr. Schu! We've got a core group of program-attendees who are always looking forward to the next Tale Waggers program. Have you ever sought out a local therapy pets group to volunteer at your library? I highly encourage you to see what's available in your area. Good ideas were flying every which way at YALSA's YA Literature Symposium in St. Louis last weekend. I always love hearing what colleagues across the country are doing in their libraries, and the topic of teen services is always fascinating--there is constant innovation going on in the realm of YA. I tend to leave conferences overflowing with ideas of things to try in my own library, and the Lit Symposium was no different. I already shared some sound bites from the weekend; now here's a list of five things I want to try in my own library after hearing about them at the conference. There are a couple of teen customers at my branch who have asked us to host a teen book club. We did a bit of research and discussion, and we determined that teens' school reading assignments and work/school schedules would greatly impact attendance at a book club. A possible solution: a virtual book club for teens. I heard great things about the Subtext app at the conference; it's a free app that allows readers to comment and discuss inside of a book. Libraries are able to create groups for their book clubbers, creating a closed space for a book discussion with a specific audience. I am really intrigued by the flexibility a virtual book club would provide: teens can participate when it suits their schedules; teens from all libraries in the district can participate without having to visit a library distant from their homes; and teens who feel uncomfortable talking aloud in groups can be a dynamic part of discussion. We're going to look into the possibility of hosting a virtual teen book club via Subtext, a Yahoo! group, or even Facebook. I'd love to hear if you do anything along these lines! Peer behavior is a huge influence for teens, and many libraries use that truth to their advantage in order to get more teens reading. Having a "What We're Reading" board in the teen area of the library, along with some writing supplies, allows teens to share the title and author of the books they're currently reading in a sort of public forum. When teens see what their peers are reading, they start to look for those same books, too. Think the spread-the-word popularity of The Hunger Games but on a smaller scale for many more books. We're figuring out a good space in the branch to get our board started. One of my favorite programs at the conference was on the topic of male readers, and four local St. Louis high schoolers sat on the panel to share their thoughts. They all agreed on one particular thing: engage and excite readers with book trailers. With so much media everywhere in teen life these days, sometimes that brief visual teaser for a book is what's necessary to generate a reader's interest. I'm talking to my teen person about including book trailers in our book chat teen programs, and I'll also be incorporating them more often for my middle grade readers. Providing books for teens means finding a collection balance between classic/favorite books and what's new and hot in YA. We do well in keeping an updated collection--but not necessarily so with our book lists. I love the great and comprehensive listing ideas that were shared at the conference: LGBTQ reads, realistic fiction, blurred genres... There are so many fabulous lists and resources out there that creating book lists for teens needn't be a strenuous process. Do some searching online, poll your teen readers, and make lists with all the newest books your teens will love to read. When push comes to shove, my library branch isn't big enough to host the sort of large-scale events some of our larger branches can. Does that mean our readers should have to either a) travel to a further-away branch or b) miss out? Absolutely not! A potential answer: Skype visits. Skype visits do require some technological hardware--computer, webcam, microphone, projector, screen--but the benefits outweight those up front costs. 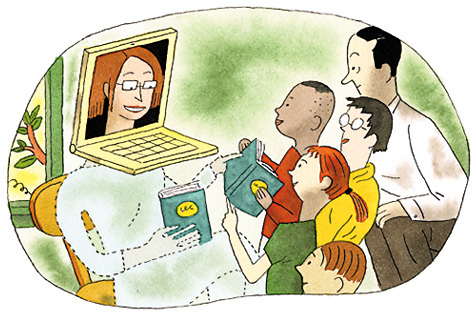 Readers get to engage with authors via Skype, asking questions and having meaningful conversations. Many authors are happy to do Skype visits for discounted fees or, occassionally, for free, making the program a win-win situation for libraries that can't bring an author physically to the branch. My interest was also piqued by comments from libraries who pass out copies of author visit books to community members for free in the weeks leading up to a program. In the examples I heard discussed, copies of the books are funded by grants. Does your library have experience with a format like this? I'd love to hear more. 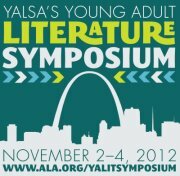 What are your top takeaways from the 2012 YALSA YA Literature Symposium? Play is an integral component of developing reading readiness. Folks have been touting that belief for a while, and the inclusion of "play" as one of five early literacy practices in the revised Every Child Ready to Read solidified it as fact. Play is fun, sure, but it's also a developmentally appropriate way for children to map concepts onto words. It's one thing to know the word for "train"; play allows children to learn what a train is and what it does. Play is very important. All 12 kits, ready to go to branches. If you're like pretty much every library I've ever been to, though--including my own--you don't necessarily have a lot of room to inject many more opportunities for play into your library. And then you have to consider the cost of toys and space for storage, too. These considerations are obstacles, but they are absolutely surmountable. How? In my library district, we created twelve distinct Early Literacy Play Kits--enough for one to be at each of our twelve branches every month of the year. These kits are basically boxes of toys: there's a puppet kit with three boxes of puppets, a puzzle kit, a play food kit, a baby activities kit... Our team of children's librarians had some lively discussions about what types of toys we would like to incorporate in our branches if we had funds and space, and we created our list of twelve theme kits from there. We were able to collaborate and select items that we knew would be used by children in our libraries. We selected kits that cover the whole pre-reader spectrum. We've got baby-safe stations like bead mazes; juggling scarves and wrist ribbons perfect for dancing two- and three-year-olds; blocks for children of every age; and a mailbox to encourage writing among the set who are really into working on their letters. We intentionally tried to incorporate dramatic play, basic math, letter recognition, and diverse vocabulary across the spectrum of all our kits. The free play station in Picture Book City at my branch. The beauty of these Early Literacy Play Kits is twofold. 1) A branch only has to find space to store one kit per month, yet it benefits from having twelve different sets of toys in the branch every calendar year. 2) A branch can use its monthly kit however it chooses: in programs, set out in the children's area, by internet computers to keep young ones productively entertained while the caregiver is online... Possibilities are limited only by staff imagination. In October, for example, my branch had one of our food kits, which includes placemats, plastic dishes, and some play food. Throughout the month my staff and I used the play food at the end of some of our programs for free play. We also had a few place settings and a play pizza out in the children's area all month. Boy was that table popular, with kids of all ages serving up slices for their siblings and caregivers. Is your interest piqued, but you're afraid the process of purchasing, creating, sharing, and maintaining the kits is too burdensome? Let me assure you that the logistics of the kits aren't that difficult. Purchasing: After securing a $3000 grant from our Library Foundation, our selected toys were purchased and delivered to my branch. Creation: Volunteers helped label every toy piece with the library's initials, and I separated our toys into plastic containers with locking lids. The final containers contain box inventories, age and cleaning recommendations, and a schedule of the kit rotation--everyone always knows what kit they'll have which month. Sharing: Each branch has a kit for a month, at which point the kit travels to its next branch via our delivery crew (they already run materials and supplies deliveries every day, so the addition of a kit or two doesn't add undue strain on the system). Maintenance: Staff are responsible for using the kits as they see fit, then cleaning and inventorying the boxes at the end of each month before sending it on its way. Once a year, all kits will return to me to update inventories and order replacement items if necessary. It's really pretty simple: a variety of toys that promote early literacy while requiring minimal work and space constraints. Give Early Literacy Play Kits a try in your library system. I would bet you'll hear positive things from staff--who have new, fun items to use in programs--as well as kids and caregivers who enjoy the toys in your children's spaces. Incorporate more play in your library! Today I'm on the ALSC Blog joining the chorus of voices penning letters to our teen selves. The letters are in response to the publication last week of Dear Teen Me: Authors Write Letters to Their Teen Selves. Head on over to see what I'd tell my teenage self. What would you say if you could write a letter to yourself as a teenager? It's an interesting question to ponder. Reading is a powerful thing, what with its capacity to introduce us to new ideas, places, and people. Readers are the ones who are informed, who have a more diverse worldview, who have empathy for others they might not know but have seen in the pages of beloved books. And so readers are the ones who will stand up for what is right in the world. Teens absolutely get behind this sentiment. Books help us explore aspects of ourselves that we might otherwise have difficulty recognizing or admitting--they act as mirrors for seeing who we are as people. Books also act as windows, allowing us to see what the world is like for others. Levithan shared an anecdote about a librarian who said she wasn't going to buy a book with a multicultural protagonist because she didn't have any "ethnic" readers. All the more reason to have that book. Teens have two jobs: to attend school and to grow up. Going to school means a variety of courses, and so the very nature of teenage existence is multidisciplinary, with exposure to and interest in multiple subjects. One of the great things about good YA literature is that it taps into that multidisciplinarity. Genres blur, topics overlap...and readers love it because it reflects the world they inhabit, which does not have such precise delineations that adult fiction often seeks to reinforce. Teens love to read varied books, and to vary their reading. 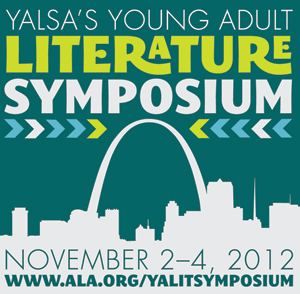 Come back later this week for discussion of some of the ideas I brought home from #yalit12. Let me make one thing clear right up front: I am not claiming responsibility for the idea of Lego Club. No, Lego Club has been in existence, both at my library and at other libraries worldwide, since way before I became a librarian. What I do claim: Lego Club is engaging for kids of all ages, easy to manage from a staff perspective, and enjoyable for everyone involved. I think everyone should seriously consider hosting a Lego Club at the library. Here's how we operate ours. Do purchase a good number of baseplates; lots of kids prefer to build on these foundations rather than just start free-form building. Do make sure you have lots of Lego people, as one or two of your frequent program attendees will spend most of their building time hunting and hoarding the figures. Don't worry about buying a "correct" proportion of the new pink Legos "for girls." I know lots of people have lots of thoughts about these frill-ified pieces, but I don't want to get into that here. The only thing that is worth your consideration in purchasing your Legos is that all of your blocks will get jumbled together, and their colors will largely not matter. Do get some containers to hold the Legos during the program. Whether these containers are the ones the Legos come with or are generic plastic containers doesn't matter--any containers will keep hundreds of little pieces from ending up on your program room floor. We've also added to our collection through donations of used Legos--parents and grandparents looking to clean out the former playspaces of their grown kids are often happy to know that those Legos they spent so much money on will go to a good home. My advice if you do decide to accept used Legos: be prepared with a strategy to clean them. Dust gets into all of those little crevices. The Audience. Our monthly Lego Club is open to all school-age children and their siblings. That is to say that our target audience is K through 5, but we recognize that some younger siblings are going to want to tag along. That's fine with us. I know of plenty of libraries that actually split their Lego kiddos into two separate sessions, K-2 and 3-5. This model doesn't really work for us; it creates problems for families with kids in both age ranges, and it limits the breadth of interaction and collaboration during the programs. Thus we have one all-ages session and expect to have a full room. We get a good balance between boys and girls in attendance. Also, you will have plenty of caregivers attending with their kids, especially dads. The only time I've ever seen more dads engaged in a library program was during our Jedi Academy. The Scheduling Logistics. We host our program on the last Monday of the month. We find that we have outstandingly regular attendance at this time, as the week hasn't gotten too busy yet and no one feels too worn out by the week that early on. 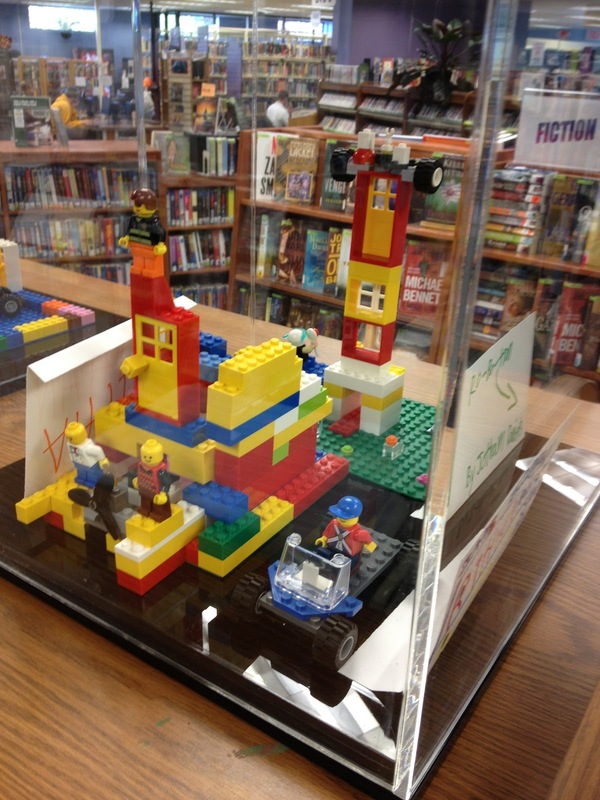 We usually host the Lego Club from 6 to 7 p.m. on those Mondays to allow kids from all sorts of families to attend. We have two exceptions to that consistent time slot: during winter break, when we offer the program at 2 p.m. because of the plethora of evening holiday commitments; and during the summer, when we offer both a 2 p.m. and a 6 p.m. session to accommodate our larger seasonal audience. The consistency really works--kids know exactly when Lego Club will happen, and they anxiously await it. The Program Room. I like to provide plenty of opportunities for collaboration in our Lego Club programs, so I set up two long tables and have plenty of chairs surrounding each (usually 15-20 chairs per table). There is plenty of room for kids to move around to search other builders' buckets for a specific piece they need, and there is also space for both collaboration and individual focus. The Program Format. 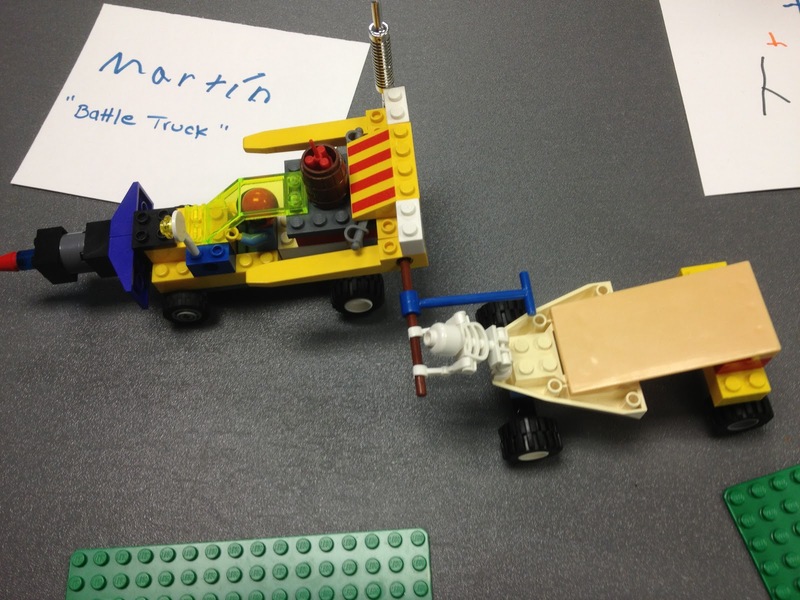 Every Lego Club has a theme, and children are encouraged to build a creation based on that theme. (Note: If they want to ignore the theme and do their own thing, that's fine, too. Support creativity!). 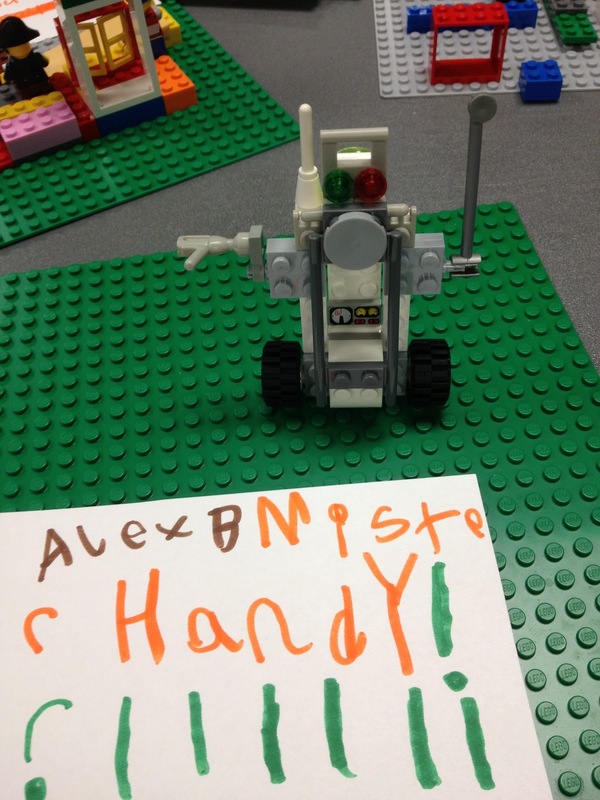 Recent themes at my Lego Clubs have included Robots, Mad Scientist, and It Came From Outer Space! I've found that kids look forward to the grand unveiling of the month's theme--which is really just me announcing the theme in a silly voice. 6:00-6:05 -- Kids and caregivers come into the room, grab a baseplate if they want, and find a seat at one of our tables. I announce the theme for the evening. 6:05-6:50 -- Free building time. During this time, kids build and I mill about the room talking to kids, seeking out specific building pieces someone has requested, and just having positive, friendly interactions with everyone. I love asking about what the kids are building--even the youngest ones are very deliberate about how they make their creations. As we near the end of our free building time, I encourage kids to write the names of their creations on blank notecards, as well as their names. We use these cards in our displays. 6:50-6:58ish -- We "tour" the evening's creations. Each child has the opportunity to talk about what he/she created; some love to share their work, others shyly just repeat the evening's theme and then hide behind their caregivers. 6:58-7:00 -- Cleaning up the building area. I enlist the help of all Lego Club participants in checking the floor for errant Lego blocks, and they help get all of the unused pieces into our tubs. As kids leave the program, I always remind them to come see their creations on display in the library before the next meeting of the Lego Club. I also encourage them to check out a book on the evenings theme; we always have a table of such books available by the program room door. Kids' creations on display in the library. The Display. After years of tearing kids' creations apart at the end of each Lego Club, we asked our Friends of the Library group to grant us some funds to buy some display cases in which we could house children's work between programs. We purchased eight basketball-size display units, and for the time being that is sufficient to house at least a portion of each child's creation each month. Kids love seeing their work when they come to the library, and having Lego creations on display has generated tons of interest in the program among kids and families who hadn't known about it. If you have space, I highly recommend displaying your Lego Club creations in the library. 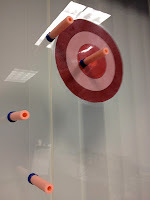 Even if you can't invest in displays, find a shelf out of reach of toddlers and stick those creations up there. It really helps kids develop pride in their work as well as a sense of ownership in the library. That's it. That's how we engage 30+ kids in extremely fun programming that helps develop STEAM skills every month. Once you get your supplies and get into a rhythm, it's a program that requires minimal prep and practically runs itself. Yet for how simple it can be for staff, it has a remarkably positive impact on kids. Lego Club is a solid investment in programming and intellectual engagement. Do you have questions about how we run Lego Club at my library? What about comments on how you run a similar program in your neck of the woods? Sound off in the comments!